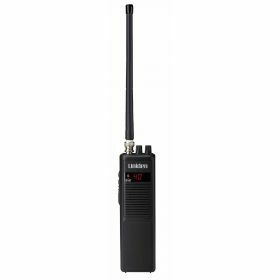 40 channel handheld CB radio. Features auto noise cancel filter & High/Low power switch. Comes with flixible rubber antenna with BNC fitting, belt clip, DC adapter & wrist strap. 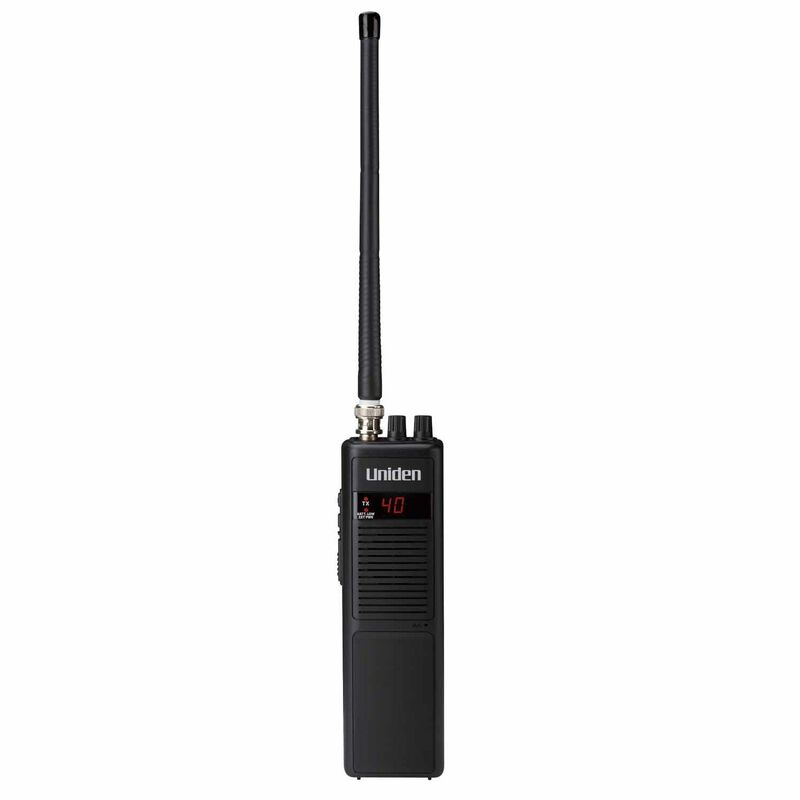 Operates on 9 “AA” cell rechargeable or alkaline batteries. Batteries not included.